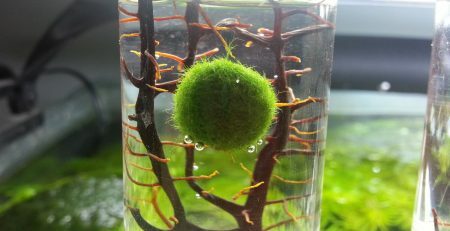 Marimo are adapted to low, indirect light. 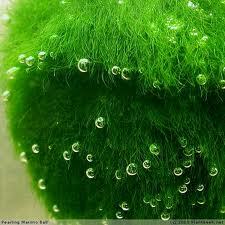 They are made up of small individual filament algae that blend together in the sphere. As such, if you intend to include them in your tank or house them as pets, be sure to avoid direct sunlight. Instead, rotate them periodically so they maintain their shape, and shield them from getting burned by too much sun. 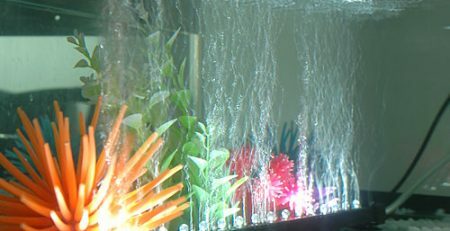 The water should be changed once a week unless filtered. 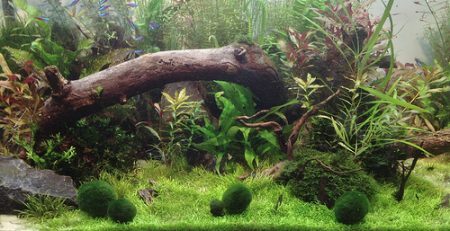 Many people keep single Marimo in their own small decorative aquariums as they are said to bring good luck if well loved. 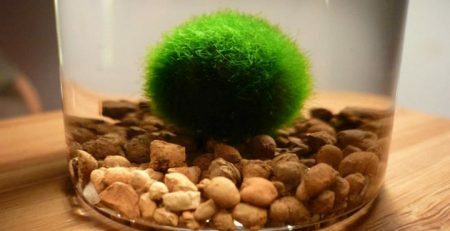 You can breed Marimo by cutting them apart, or putting them in a tank with other Marimo and filaments to help them become larger. Left to their own devices they will grow and propagate on their own, very slowly. 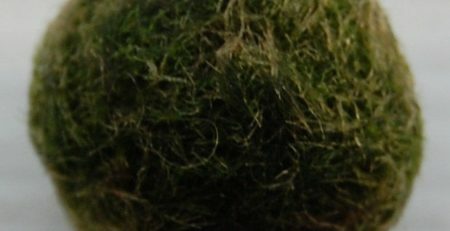 Marimo from Japan are very hard to find as they are guarded as a national treasure. 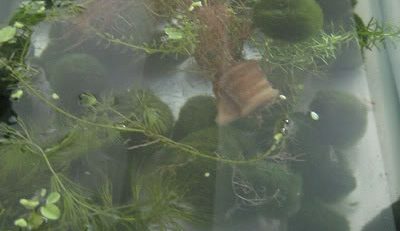 Typically, Marimo said to come from Japan are often manmade. 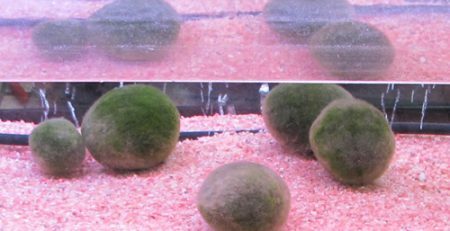 Marimo from their other locales – Iceland and Estonia are easier to come by. 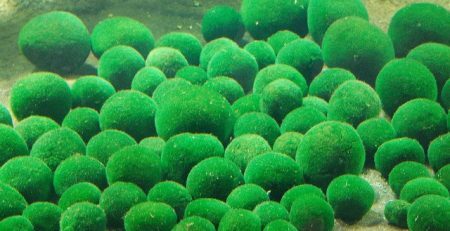 Marimo are banned in New Zealand for fear that they might over take native algae. 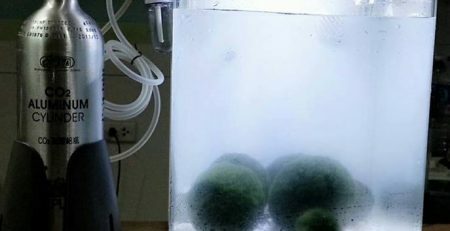 Manmade Marimo are readily available in a variety of sizes.